When I was a child, I went fishing with two friends and their fathers. My father came along. 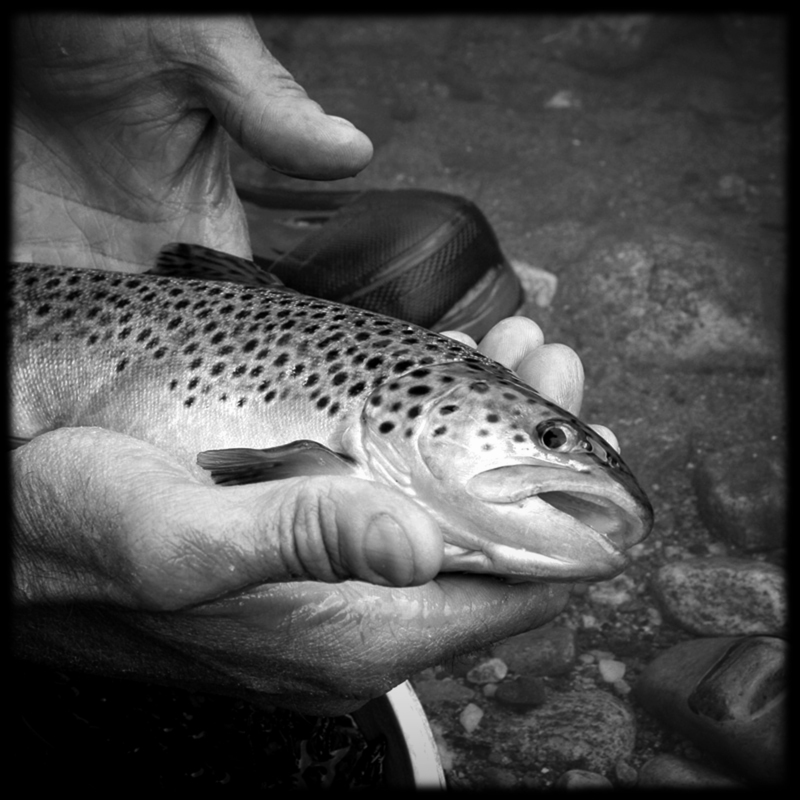 I said that I wanted to be on a boat on a river and to see, with my own eyes, a trout. As I see it now, I wanted intimacy. My father was a gentle man, not much given to the hunt. My friends’ fathers reveled in the catch. Those fathers were potent, aggressive, machocentric. Those fathers modeled a hook in the back of a cricket’s neck, a dirty limerick, slap-back socialization. Wax worms are not made of wax. Wax worms might as well be maggots. I learned this when my fingers descended into the Styrofoam cup. Those fathers cursed, then howled, when I screamed and knocked the wax worms into the river. The current carried the cup away. Did my father attempt to empathize later that day? Probably. I would have acted as if it were no big deal, as if I were fine, as if I knew what kind of man I would become. Some struggle with the concept of God as Father. I ‘m more troubled by the fisherman Jesus and with, subsequently, my calling to be a fisher of men. I want Jesus to pull a fish from the river, hold it before my eyes, and say, “Look. Beautiful, isn’t it?” I want him to hand me the fish and let me put it back in the water. Thanks for the post. I’m a vegetarian, animal lover and struggle with “manly” images of Christ as warrior, fisherman, etc. While I’m not blind to those characteristics being part of his nature, I share your vision of Him being gentle while the rest of the world is harsh; pointing to a fish’s beauty without killing or hurting it in the process. You’re welcome. Thank you for the feedback.